Has your commercial building been affected by flooding? If you give a positive answer to this question, you should react immediately and take care for the problem! 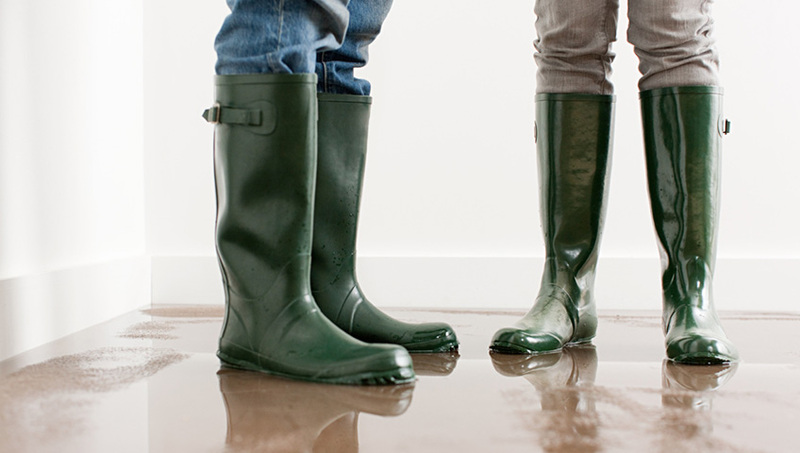 Contacting a professional company, providing adequate help when flooding in commercial buildings has occurred, is the first thing you should do. What are the consequences of flooding in commercial building and how this affects people’s health and business? The first consequence of flooding, no matter whether it has occurred at home or in the office is the appearance of mold. If mold appears in a business area, then constant contact with it can greatly harm people who work there. Although it may seem harmless, mold can gradually destroy the walls and lead to various diseases, ranging from simple rhinitis to even a terrible oncology. As you know, fungi can insidiously affect the health of everyone who is in the room. The production of their metabolism is an allergen to humans. During its development, mold on the walls emits toxins (which are volatile, liquid) and spores, which can easily be carried by air currents. Immediately after this, spores and toxins enter the respiratory tract of people. In the mold spores that breathe in or fall into the eyes, there are allergens. Allergens cause allergic reactions. Allergens are antigens that bind to antibodies in the human body. Antibodies are used by the immune system to identify and neutralize foreign bodies such as bacteria and viruses. Inflammation is one of the most common forms of discomfort in humans after exposure to mold and / or moisture (high humidity) in the living quarters. Symptoms may include irritation of the eyes, nose and upper respiratory tract, headache, fatigue, cough and rash. People with allergic rhinitis and asthma are particularly sensitive. Inflammation of the airways as a result of an allergic reaction may further increase the risk of respiratory infections. While people with pollen allergies tend to have seasonal symptoms, allergy to moisture and mold can be felt throughout the year. In addition to allergens, there are other important factors that can contribute to hypersensitivity or cause exacerbation of allergy symptoms. Moisture in the building is a risk factor for the emergence of technical and health problems. The source of unwanted moisture in the building may be external – a result of the penetration of water into its construction through the enclosures or internal – the occurrence of condensation at high humidity in the rooms, low wall temperatures and insufficient ventilation. Water from the soil can penetrate into the foundations of the building. This is usually the case with older buildings. This may be due, for example, to sewerage obstruction or improper isolation of the foundation of the building. The penetration of water through the roof, walls, doors or windows as a result of poor maintenance of the building or building errors is also a possible cause of moisture in the premises. Flooding caused by corrosion of water or sewer pipes or unsealed pipe connections, as well as condensation on cold surfaces is also a common cause of unwanted moisture. If you already have a problem with a mold, it must be removed immediately. Porous surfaces such as wood need to be replaced as they can not effectively clean the mold and its spores. Protect your face and hands while doing the cleaning. It should be done with closed internal doors, so as not to carry the spores of the mold from one room to another. If the cleaned room has windows – it is important to open them all to ensure a steady flow of air. However, you’d better leave this procedure to professionals who best know how to deal with the problem. If there has been flooding in the commercial building, then surely the carpeted flooring in the office is affected by the problem. As a rule, absolutely all large companies that do dry cleaning in commercial buildings carefully treat their reputation and carefully select staff. Before you start working with clients, the clinics are tested for experience and training specific to dry cleaning of various types of furniture and interior items. Choosing a company, you can clarify this point – but, as a rule, on the sites of enterprises “with a name” information about the level of training professionals is always available. Another important point is detergents. Modern clinics use hypoallergenic cleansers, but if you have intolerance to certain chemical components, it is better to discuss this point before ordering – so that the company could pick up cleaning products for you. Flooding in commercial buildings will ruin the carpets and upholstered furniture in your office, that are the greatest factors for making excellent first impression to your clients. So don’t try to cope with the problem by yourself and choose a professional cleaning company you can rely on. As a whole, flooding in commercial building will influence not only on the look but also on the condition of the whole building. Moreover, external factors affecting employee productivity. External circumstances include unfavorable working conditions, lack of resources, too much work and bad teamwork. Imagine that you work in an office with poor ventilation, in this case, lack of oxygen can not only reduce productivity, but also adversely affect the health of employees. Creation of safe and comfortable conditions for its employees is the main task for the company’s management, as it has already been proved that favorable working conditions increase the mood and improve the well-being of employees. Therefore, the prerequisites for high productivity are created, whereas poor conditions reduce the quality and productivity of labor, and also increase the risk of injury and morbidity. The last in our list, but the least important negative consequence of flooding in commercial building, is the increased insurance due to flooding. If the commercial building is under water or there is potential risk of flooding, then for sure the insurance cost will be increased.